Are you experiencing Intel display audio not working issues? Do not panic, we show you how to fix this problem. 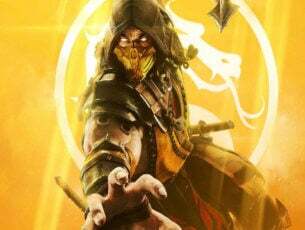 Some Windows users reported getting Intel display audio not working prompts while playing games or accessing online multiplayer games. This error prevents users from ‘hearing’ background music and also makes the game unresponsive in some cases. However, the reason for this error may be due to incompatible drivers, corrupt system drivers and/or broken Windows registry. 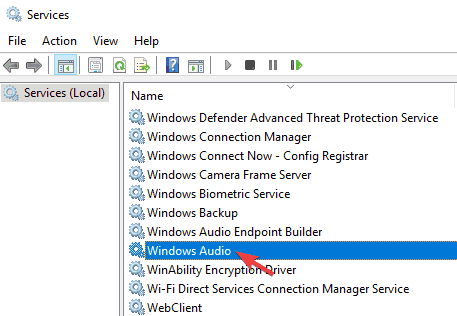 Sound problems have always been recorded in several Windows version and Windows 10 is no exception. 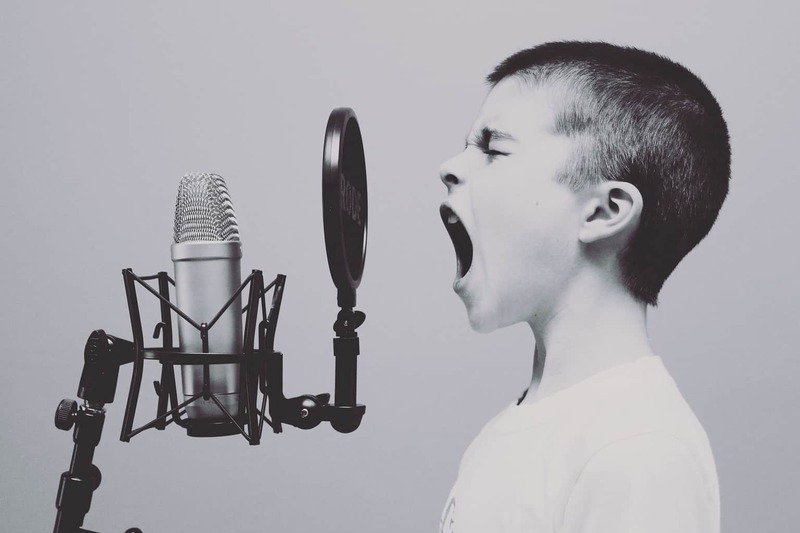 If you’re experiencing Intel display audio problems, Windows Report team has responded to the Intel display audio problem by enlisting germane solutions for this problem. The aftermath of malware or virus infection can lead to missing system files leading to the ‘Intel display audio not working’ problem. Even though antivirus software may be used to remove the corruption, the system files could be overwritten, corrupted, or even damaged. So, in order to repair the important system files that will prevent the ‘Intel display audio not working’ problem, you need to run System File Checker (SFC) scan. System File Checker utility program checks for the authenticity of all system files and fixes problematic files afterwards. Now, type the sfc /scannow command and hit the ‘Enter’ key. In addition, you can also run DISM to solve the ‘Intel display audio not working’ problem. Deployment Image Servicing and Management can also fix corrupt system files as well. Another method of fixing ‘Intel display audio not working’ is by running a troubleshooter so as to analyze and fix the problem. Click Windows + W keys, type troubleshooting in the search box and press Enter. Click “View all” and then click “Playing Audio”. Follow the troubleshooting prompts to fix the problem. Nevertheless, if you are still experiencing the ‘Intel display audio not working’ problem, you can proceed to the next solution. After following the steps above in reinstalling the drivers, the ‘Intel display audio not working’ issue should be resolved. Alternatively, since outdated system drivers can cause ‘Intel display audio not working’ problem. Therefore, you should update your Intel audio drivers so as to resolve the Intel driver issue. Note: You need to download the driver from Intel official website and then extract it to any folder on your PC before you proceed. Download the Intel audio drivers from Intel official website. Extract the download driver to a specified folder on your PC. 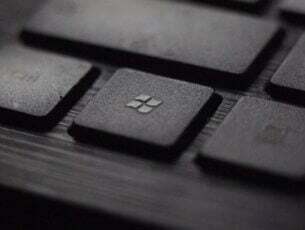 Press Windows Key + X and select ‘Device Manager’ from the list. 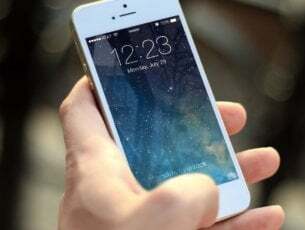 In ‘Device Manager’ window, locate the device that you want to update. 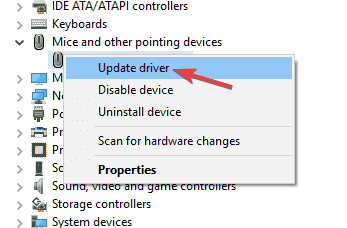 Right-click the device and choose Update driver. Select the Browse my computer for driver software option. This option will enable you to install the driver software manually. Choose Let me pick from a list of device drivers on my computer option. Click the ‘Have Disk’ button. Install from Disk window will now appear. 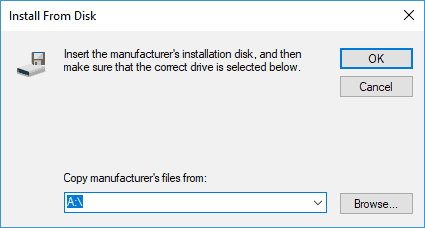 Click the Browse button and locate the driver on your hard drive. After you select the driver, click the OK button. After doing that, the driver will be automatically installed to your PC. Alternatively, you can use automated tool to update Intel drivers so as to fix the ‘Intel display audio not working’ problem. We strongly recommend TweakBit’s Driver Updater (approved by Microsoft and Norton) to automatically download all the outdated drivers on your PC. 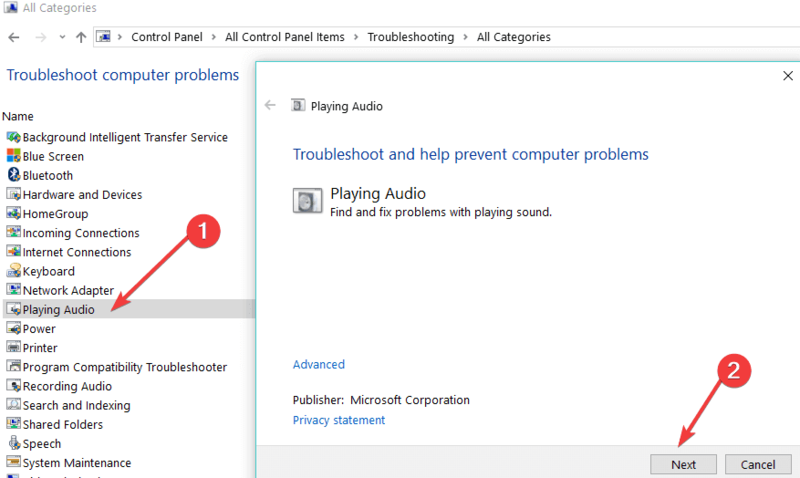 Sometimes, the Windows Audio service may be disabled leading to the ‘Intel display audio not working’ prompt. Therefore, you need to check whether the service is disabled or not; but if it is disabled, then you have to enable it. 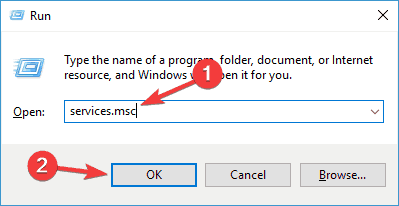 In the “Run’ windows, type ‘services.msc’ without quotes, and then press enter. 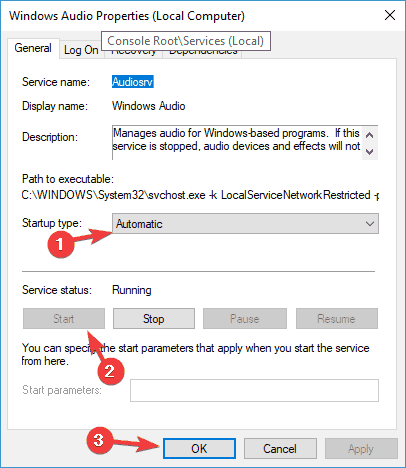 When Services window opens, locate Windows Audio, and then double-click on it to open its properties. This solution should fix ‘Intel display audio not working’ issue ultimately. Microsoft frequently releases Windows updates so as to improve the OS and fix various driver issues such as Intel audio drivers. Therefore, you can run Windows update so as to solve ‘Intel display audio not working’ problem. Have in mind that you can use workarounds presented in this article for solving driver issues, not just the one we addressed today. In case you have any questions or suggestions, the comments section is below. For more Windows Drivers workarounds, and additional info, make sure to check our Windows 10 Drivers hub.